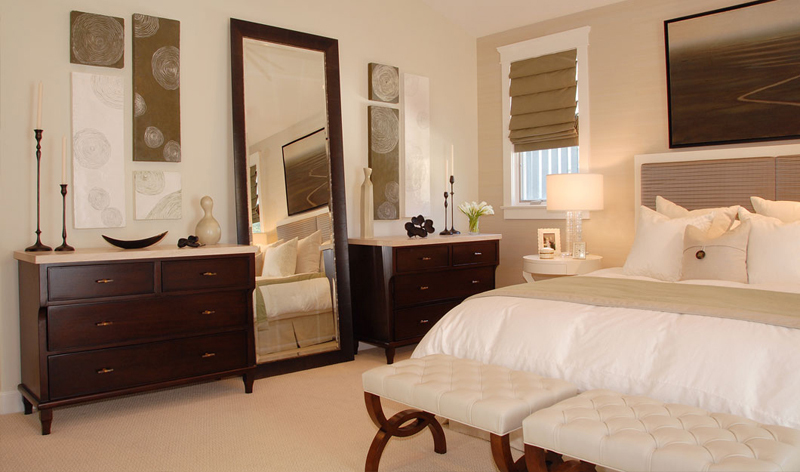 A large stand along mirror is useful for the bedroom and can be an added decor. 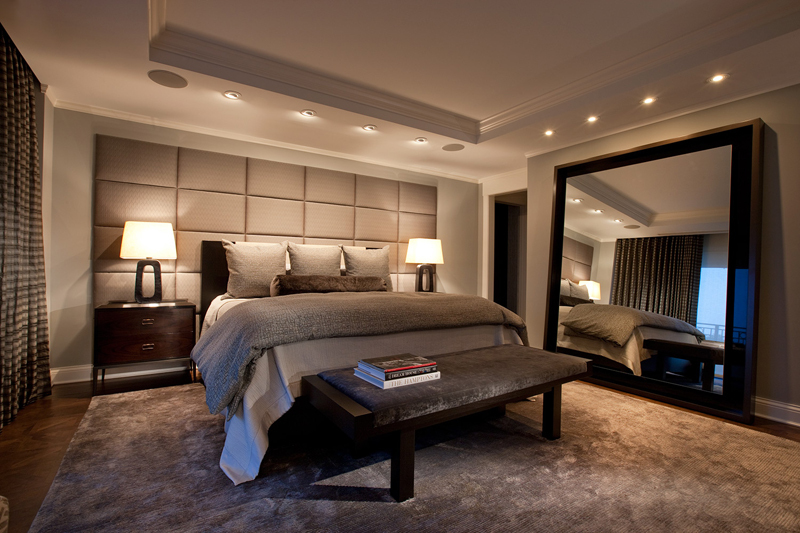 Having a mirror in the bedroom is common, but having a large stand alone mirror is another story. I have seen a few photos of these large stand-alone mirrors that I was pretty eager to create a list about it. You might have seen big mirrors, but the ones that you will be seeing in this list are definitely large! The come in either square or rectangular shapes and I think that each one is really eye-catching. If you are into mirrors, for whatever reason – like Feng Shui or because they are just really pretty – I think that you’d love the spaces below. 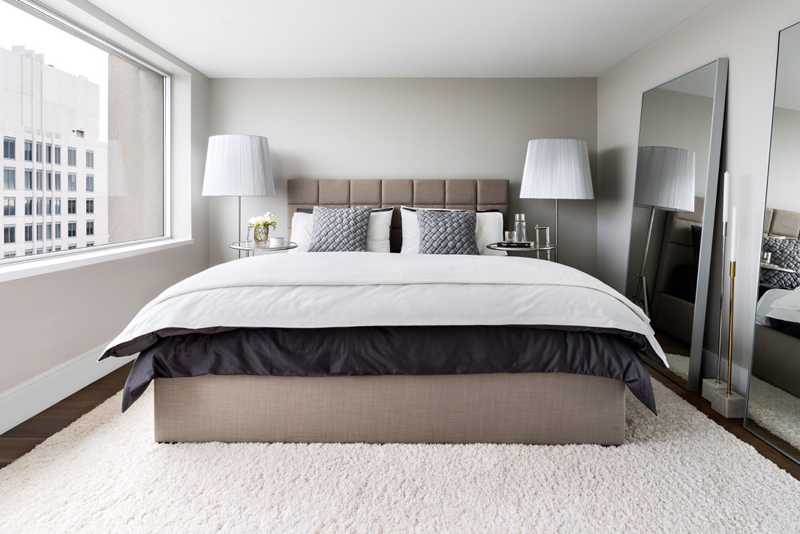 We do not have a particular theme for the bedroom photos below but one thing’s for sure – they are indeed 20 Glorious Large Stand Alone Mirrors Found in the Bedroom! Check out the photos below and tell us what you think! 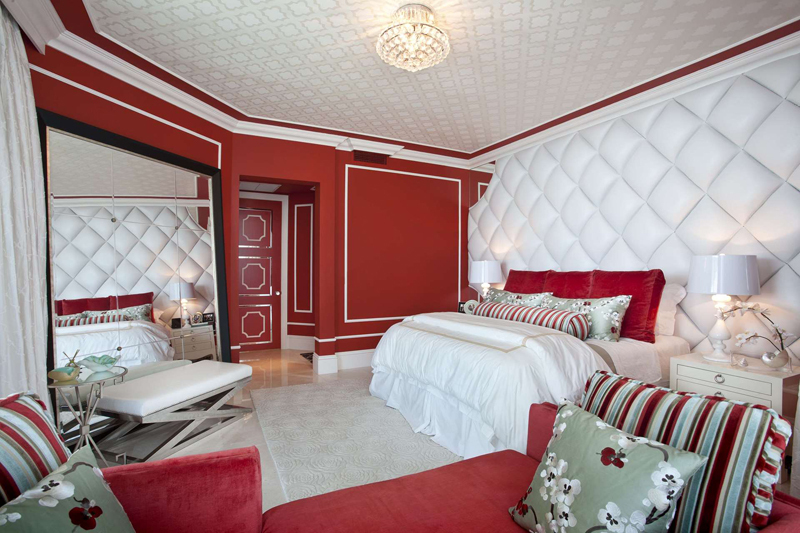 First up on the list – a beautiful white and red bedroom from DKOR Interiors. Imagine that you actually have this bedroom in your house! The bedroom in itself is actually large – so, it’s just right that they added this fabulously large stand alone mirror to match! 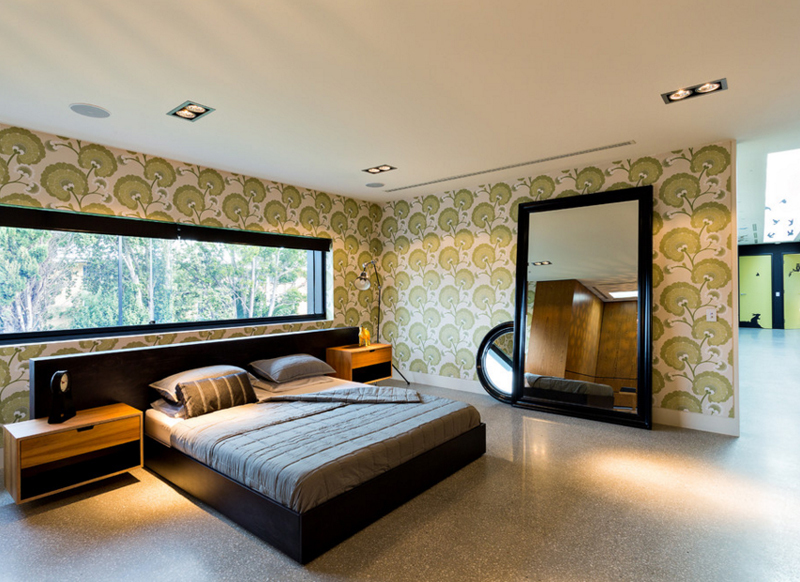 Another beautiful bedroom with a fantastic mirror that matches with the color of the bedroom motif. We all know by now that black decor will always go well with any bedroom theme or motif, because like white and grey (and any neutral tone color), they always showcase a subtle touch to the already beautiful existing space. Now, I do not know why they added another small mirror beside the large one, but it still sure looks interesting because of the size and the fact that they added a round and a rectangular mirror in here. The wallpaper color and design is what bothers me though, I mean, it’s pretty, but I think there are other designs available that might make this room way prettier than it already is. 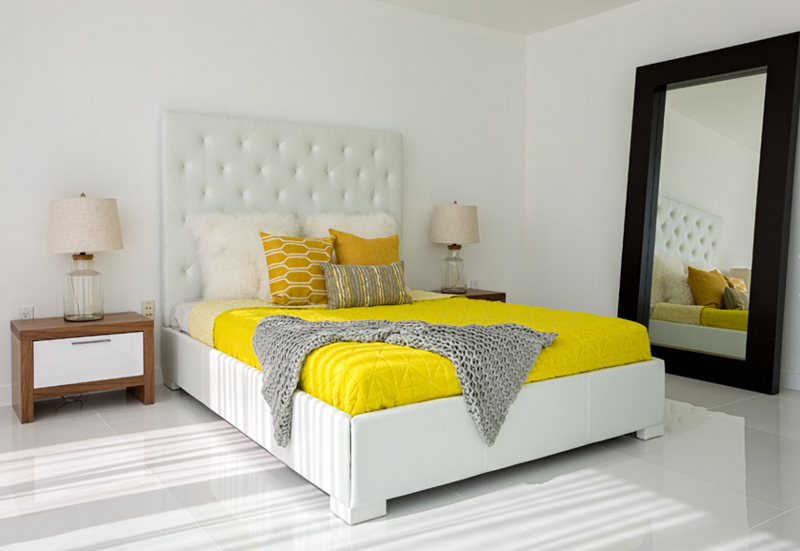 A white bedroom decorated with yellow linens and pillows and a large black mirror! 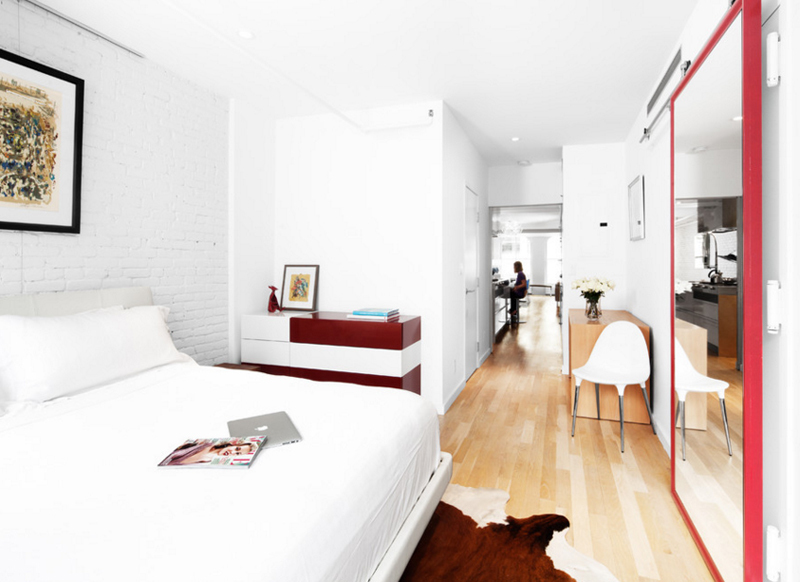 An interesting combo, but because this bedroom is in white, all the more that this space is crazy awesome! Mila Design sure had a wonderful concept and theme in mind (whatever that was). I think this bedroom needs drapes because its window is large and during the day and in the afternoons, I think this bedroom would really feel uncomfortable. 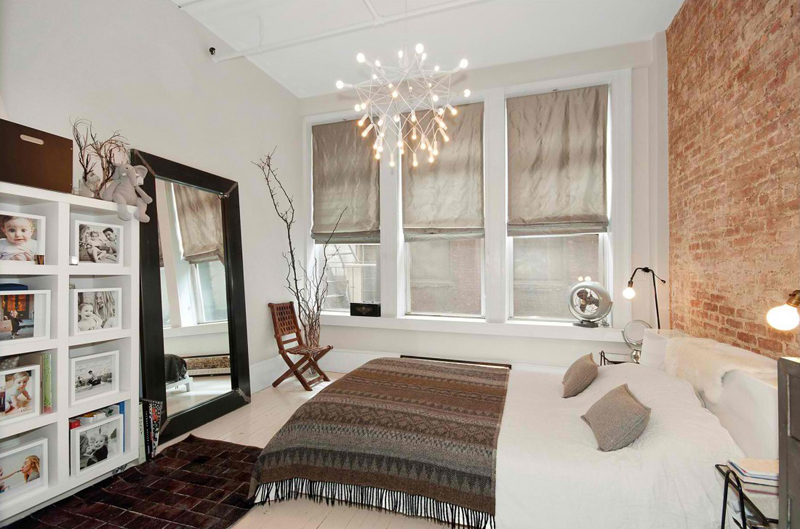 There are two mirrors on the side, so, I think the light would be reflected, but still – this bedroom feels naked. 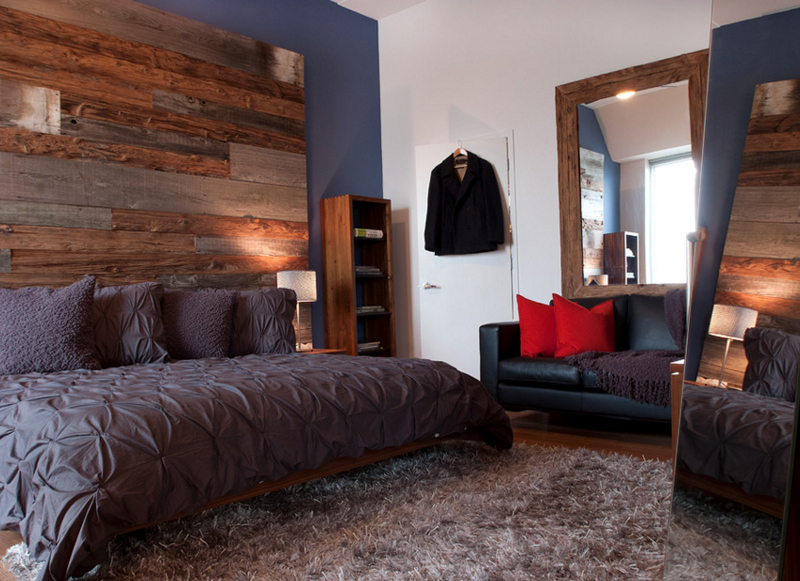 This ranch bedroom looks naturally beautiful because of wooden things in it – the pallet wall behind the head board, the night stands and the large, wonderfully done stand-alone mirror. The prints on the linens and on the chairs are neat too. What do you think? This is one princess-like bedroom! The pastel colored walls and linens and gold-trimmed mirror sure is great to look at! The fluffy large bed somehow reminds me of the Princess and the Pea because of the cushions. The oblong night stands in here look fancy too. Well, the mirror in this large bedroom is not quite as large as the ones before it but I think that it’s size and color complements well with the bedroom space. The cool pictures on the wall although the same is printed in colored and one in black and white and it sure looks pretty. The shelf-night stands look modern and awesome too! 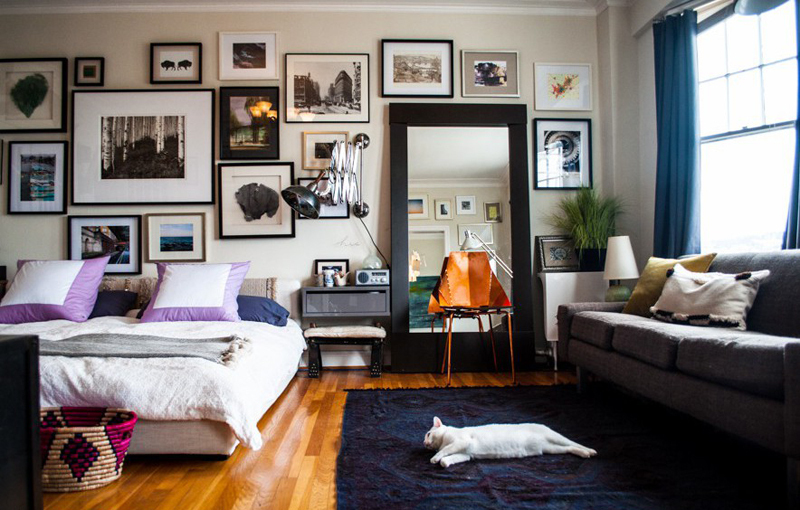 Seeing a bedroom with this many frames on the wall seem a bit untidy or messy – depending on how it is done. At one glance, I find this wall unorganized but since I think this is a studio space, the owner may want to post every picture they actually own. The mirror on the wall breaks the framed photos, but still, I think subtracting a few frames in here would be better. Well if you need a vanity inside your bedroom, you can actually do what they did in here – two identical consoles that is joined by the mirror in the center and you can see that they just added a few items on top of the console for a dramatic effect. 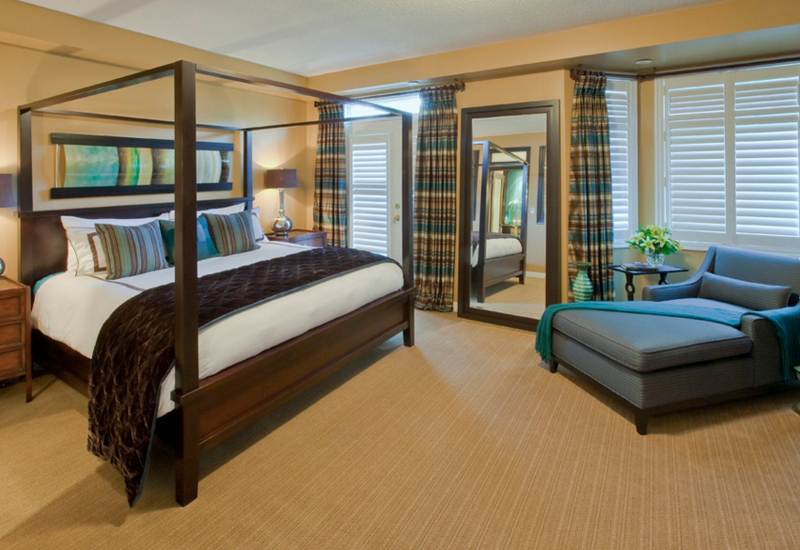 It’s also great that they used a contrasting color for the linens and the frame of the mirror. I really love seeing lofts because they look like they have so many stories to tell – the vintage look with the contemporary or industrial furniture and decorations, what more can someone actually want? The design is ideal for all age range; example is this bedroom – we see how a family owns this space because of all the baby pictures on the cabinet and yet if you did not notice that, you’d think that a young adult is the one that stays here – someone single and maybe alone. 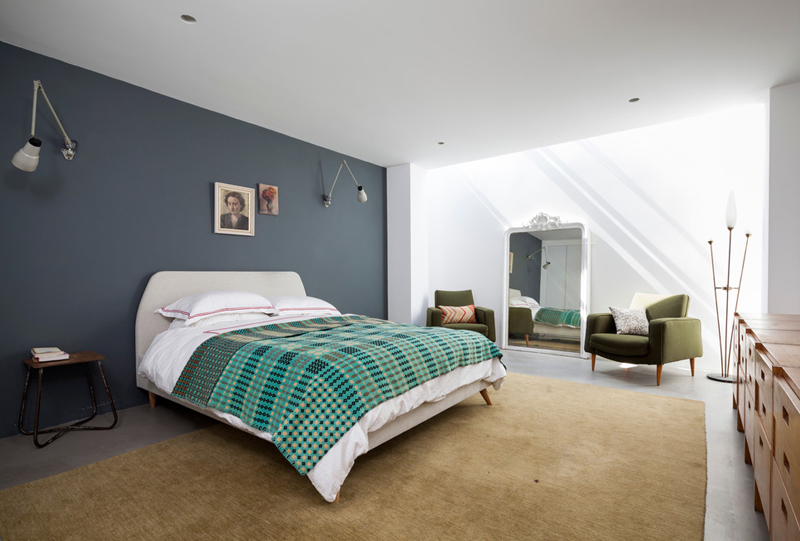 In this photo, we definitely missed out the bed, but we can actually see it in the large mirror – so, it’s almost as if the bed is actually visible in this picture; anyway, the highlight of this bedroom is the large mirror – so we are giving you just that (literally). The wood is obviously recycled, and the effect is quite amusing. Now, I think that you have already seen this bedroom in one of our features here in Home Design Lover! The beddings is not really a favorite in this case, but that’s easy to change or update – although, I really love the details of the ceiling and the color of walls. What do you think? It looks like the mirror in this bedroom is attached to the upper portion of the wall; the position of the mirror is quite unusual for me – according to Feng Shui, it’s not ideal to actually place a mirror across the bed – some energy thing, so I find this position off. 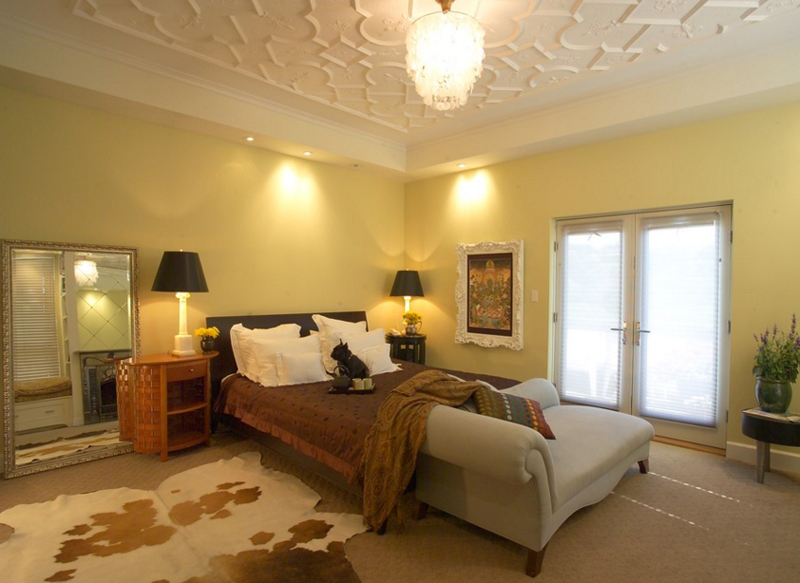 Still this bedroom is neat and ideal for people who love the sweet scent of cleanliness and daises in the morning. We all know that even when white linens are hard to maintain – especially if you know that you’re clumsy or whatnot, white linens are still the most stunning choice for the bedroom. They are really luxurious-looking and very much heavenly; I know for a fact, that I sleep way better when I sleep with white lines. I can’t imagine having a bedroom this wide. I mean, I’m sure I’d be able to find something interesting to do with all the space available – but this space sure is big! The bed in itself is large already and yet there is still more space around the room! This sure is the place to be! This white bedroom looks really relaxing. 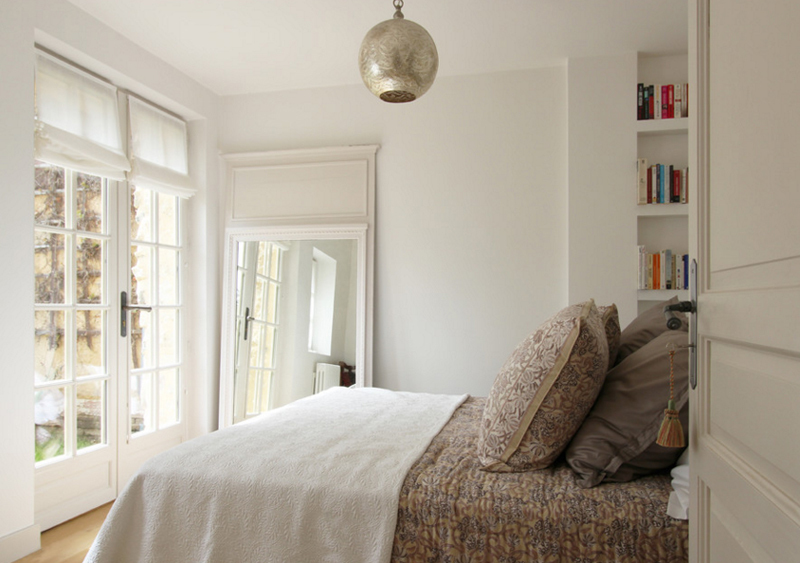 Maybe because it looks really divine and clean because of its color or maybe because of the comfortable-looking bed – either way, this bedroom couldn’t look any better – the additional bookshelf and the stand-alone mirror is a treat! This penthouse apartment bedroom looks real fancy. Although the colors can pass for a woman’s bedroom too, I still think that this space is made for a man. The bluish grey theme is still ideal for men – let’s just agree to disagree though. 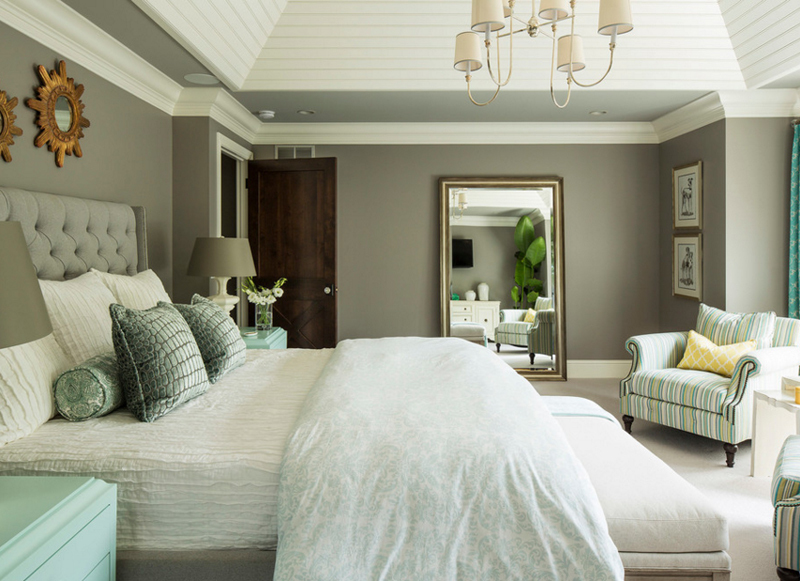 This looks like a traditional bedroom with neutral tones that completes its look. 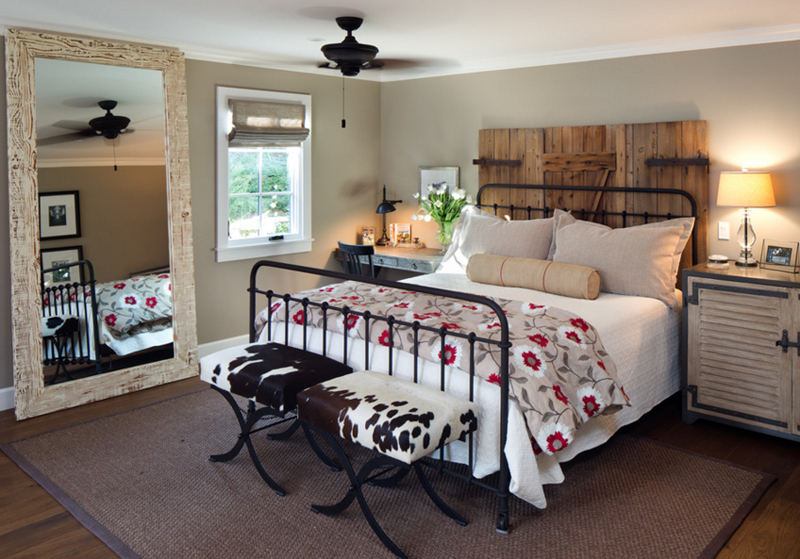 The neutral walls and floor is complemented well with the dark-colored bed frame and the mirror too. I find the blue chair on the side weird but pretty comfortable. What do you think? This is one awesome picture for the finale – I mean, it might not look to ideal because the large mirror is a bit farther than usual, but you can definitely see that the mirror is large and it somehow blends with the color of the wall. The blue accent wall is actually nice too – it complements well with the color for the floor and the white walls, almost definitely. Now, what do you think about that? A wonderful list of 20 Glorious Large Stand Alone Mirrors Found in the Bedroom that surely will be an inspiration to those people wanting to have something big and grand but definitely inexpensive piece of decor in the bedroom. 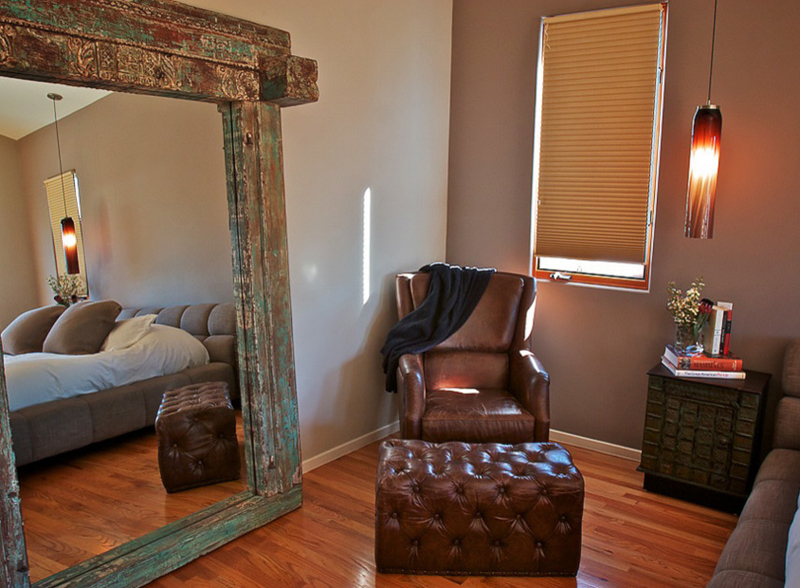 Believe me, you can get one large mirror in a very easy and inexpensive mirror any day. Do check out the 20 Lovely Dining Room with Stunning Mirrors and share them to your friends!